We are so pleased to welcome you to another Primal Woman event! In some places, the word holiday actually means vacation, but here in the States, many would say that the holidays are anything but a vacation. Join us for a morning filled with delicious foods, essential information, and permission to be in your feelings. A real food based group program designed to help you curb sugar cravings, reduce inflammation (in your skin and internally! ), improve energy, and learn new healthy habits. Live virtual coaching sessions begin September 4 (pre-detox week) and officially starts September 10. Space is limited! Mamas, come out for a day of beauty how-tos from my friend Erick and Salon Rise! I'll be joining other health and wellness vendors, so stop by my table to learn about 1:1 nutrition consulting and safer skincare and beauty options with Beautycounter! Grab your ticket here. A real food based group program designed to help you curb sugar cravings, reduce inflammation (in your skin and internally! ), improve energy, and learn new healthy habits. Live virtual coaching sessions begin June 4 (pre-detox week) and officially start June 11. Space is limited! Join us for a morning of loving your body, from the inside/out! We’ll share real food as self-love, discuss body image and our relationships with our bodies, and conclude with a yoga flow at Workspace by MVP! Space is limited, so grab your ticket here! 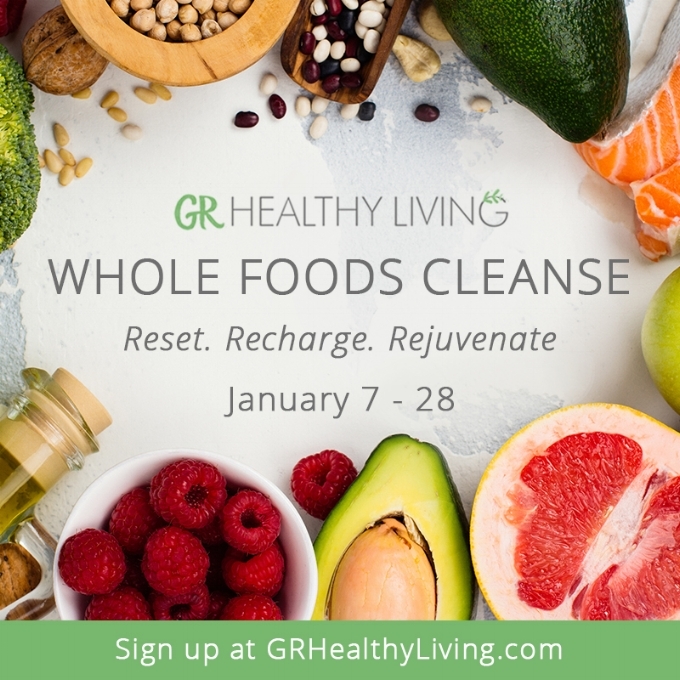 I'm partnering with GR Healthy Living and Mary Ochsner to offer a 21 day whole foods cleanse to help you start your year off right! Visit GR Healthy Living for more information and grab your spot today!